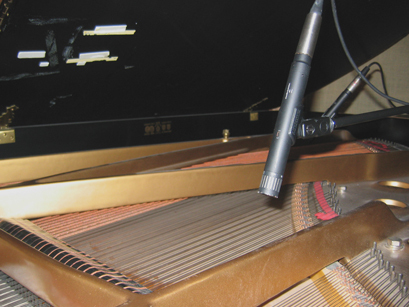 Quiet, clear, and accurate-sounding modern “pencil-type” microphone with switchable capsules and low roll-off switch. Very fast transient response. Fantastic on grand piano, drum overheads, acoustic guitar, percussion, and upright bass.